1. Get people to your website. 2. Get them to fill out a lead form. 3. Make them wait hours and days to actually book a meeting. That doesn't work anymore! Because by then it's too late. There are people on your site -- right now -- who want to talk to you. The new way is all about connecting with the best leads in real-time, 24/7. Chatbots represent a great opportunity for real estate brokerages and agents to reach customers where they already are, in their messaging apps. Chatbots allow you to deliver your services in a highly personalized manner where the message, operations and human support can be combined resulting in one great customer experience. Engage with leads when you are busy doing showings. Save time on pre-qualification messages and emails. Your chatbot qualifies leads with speedy response time your clients deserve. Helping you decide which clients you allocate your time to. Close more sales with second-to-none response time. 1. 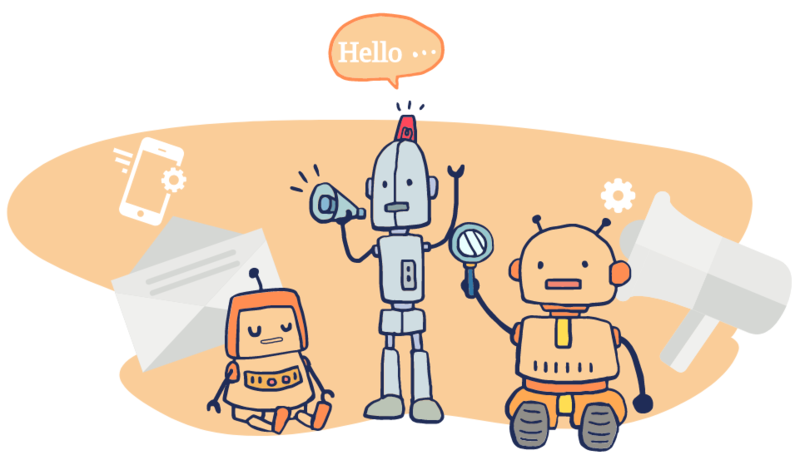 Drive traffic to your landing landing pages where your chatbot lives. A lead reaches out to you on your landing page website. 2. You're chatbot messages your lead within a minute, qualifies them with meaningful questions and arranges an appointment on your behalf. 3. All collected lead data is automatically stored in your contacts to seamlessly use Brokerloop lead nurturing tools. Chatbots are more natural and engaging than forms. Use chatbots to collect data and tell a story in one familiar experience. Leverage chatbots to qualify & capture leads, book appointments and showcase listings without you having to lift a finger. Your chatbot could shrink the response time to 1 second and answer all the repetitive questions to all of your website visitors without need to re-type them again and again. Also store all captured leads in your contacts, so you can follow up. 60% of U.S. online adults already use online messaging, voice, or video chat services (Source: Forrester). Chatbots will power 85% of all customer service interactions by the year 2020 (Source: Gartner). 67% of consumers worldwide used a chatbot for customer support in the past year (Source: Business Insider). Try for yourself. Say hello to the Brokerloop bot below and book a demo today.